Beautiful Country living in a park like setting. All Brick Ranch style home with 3 bedrooms 2.5 baths Main floor laundry, Kitchen area has a place to set and eat your breakfast and look out and see deer & turkey walking through the property . Full Basement with walk out and patio area . 2 car attached garage . 30X40 workshop area with a half bath lots of shelves to store all your tools and plenty room for the big boy toys. Plus has a fish cleaning station so you can clean all those fish you catch out of your pond at the front of the property, fully stocked pond with dock. 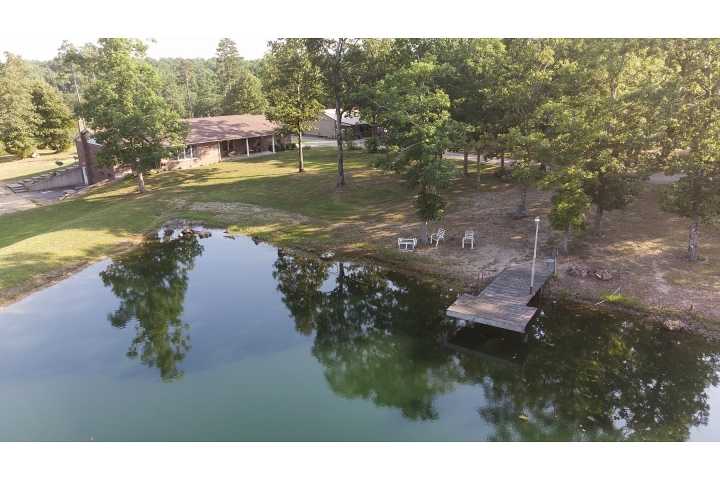 Property sets on 18 Acres M/l just 4 miles out of town , Nicely landscaped property . A Must See! !